Trucking companies are forcing truckers to work past the point of exhaustion, jeopardizing the safety of everyone on the road to enhance their own bottom line. Hours of service regulations are clearly defined, yet drivers are pushed well past their limits- often working 20 hours per day to save their jobs while the companies they work for continue to force them into insurmountable debt. In the trucking industry, many truckers, especially those working on the California ports, are treated as little more than indentured servants. By forcing their drivers into lease-to-own agreements, trucking companies are paying pennies for the work of their truckers, applying the majority of the workers’ income toward payment on the truck. 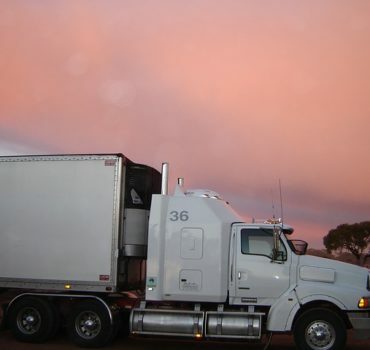 Sometimes these drivers end up owing money for their truck payments at the end of the week, even after working hard all week for their trucking companies. Drivers who get sick and cannot drive still have to pay on the loan that week. Drivers who are too exhausted to drive safely and refuse to continue are fired. Their trucks are seized by the trucking company. The payments made up to that point are forfeited. Because of this structure of forced debt, truckers are unwilling to put their jobs at risk. When their bosses demand that they drive longer than what is safe, they do so, because they cannot afford to lose their jobs and their trucks. This creates a serious risk. In one study, researchers found trucking companies were forcing drivers to drive up to 20 hours a day or risk losing their trucks and the money paid toward them. Some managers even physically prevented drivers from going home from work. Often these drivers are migrant workers who do not fully understand their rights or the lease agreements they sign. When truckers cannot get the required amount of non-driving hours, and therefore adequate rest, they are at risk for distracted and fatigued driving. This puts everyone on the road at risk for serious injuries or death.